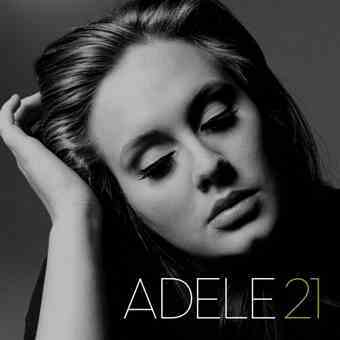 When I first heard Adele’s Chasing Pavements, I fell in love. That husky voice was an attractive package for the evocative lyrics. When she released her new album, Rolling in the Deep hit the airwaves. And hit the airwaves. And hit the airwaves. Until my husband called it a curse. Now she’s released my favorite single off of her new CD, Someone Like You, and I’m jamming in the car every time it comes on. Which is about every 20 minutes. And my husband hates it already. I’ve already made its lyrics my Facebook status. Twice. Honestly, when that woman sings the word, “bittersweet,” I can feel every heartbreak I’ve ever experienced, but with a yummy caramel glaze. Apparently he has forgotten the night I bought the CD. I haven’t. Almost as yummy as caramel glaze. Maybe maple. And because I love him, I’ll keep Adele’s lyrical genius under a bushel basket. I’ll only hum the lyrics when he’s around. But I’m still belting them out in the car. What did it say? I’m still not completely certain. When I heard this song had turned 20, I first thought that it was as true today as it was then, but then I realized that it might still be true for my age group, but perhaps not for the 18- and 19-year-olds of today. If, for us, it was less dangerous with the lights out, today’s teens have grown up doing it all with the lights on and the cameras rolling. However, they, too, seem to have the sense that they deserve to be entertained. In fact, all of life has become a performance. Is this new, or is this a return to Shakespeare’s truth that all the world’s a stage and the men and women merely players? And if today’s teens manage to emerge from their teens feeling something other than stupid, they’re more resilient than I was. Study after study results in wailing and gnashing of teeth over how today’s youth can’t keep up in the global marketplace. Our political discourse raves about the failure of our schools. And our economic situation means even those with college degrees are facing long-term un- or underemployment. MTV and the radio still controlled what the young people of the early 90s listened to and helped create a homogenous play list and allowed for an anthem of my youth. I’m not as certain that is possible today in the world of mp3s and earbuds. Who will today’s teens and young 20s celebrate as the authors of their anthem 20 years from now? 19 years 364 days until we find out.